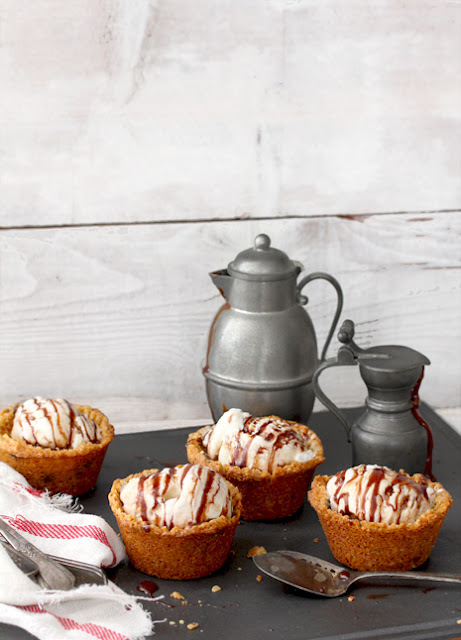 Remember yesterday when I talked about serving ice cream in the chocolate chip cookie cups. Naomi was one step ahead of me. She created ice cream pies with chocolate chip cookie crust. You can check out these yummy ice cream and cookie treats over at Bakers Royale.